Scatterbrained Blogging: What's pink and fluffy and takes off all your makeup? Why, it's a Nima Mitt! What's pink and fluffy and takes off all your makeup? Why, it's a Nima Mitt! And what exactly is a Nima Mitt I hear you ask? Don't act like you're not even a little bit curious! The Nima Mitt is an Irish (woo, Irish!) eco-friendly (extra woo for eco pals!) makeup removal mitt brought to us by Nima Brush - you remember them, right? So it's already clear that I'm a big fan of this brand and their wonderful products - so much so, that I was telling everyone about this little gem having only seen it in action once! As soon as my own came through the door, I literally couldn't wait to take my makeup off! And that's not something I say very often! So what makes it so eco-friendly exactly? Well I've got one word for you - microfibers. I know, I know - too many times are we bombarded with fancy science-words claiming to do anything and everything, but this is different. It's simply very, very, tiny fibers (smaller than a human hair) are closely woven and when wet with just regular tap water they can be swept over the skin to remove makeup, oil, grime - all that nasty stuff. It's also super lovely and soft to the touch. And that's all there is to it! Honestly, that's all. No cleansers, no soap or anything. Pure and simple. Think about it, all the chemicals in makeup removers, be it micellar solutions or foam cleansers, are going to leave some form of residue on your skin. These oils and chemicals are going to start messing with your skin's natural ph balance. 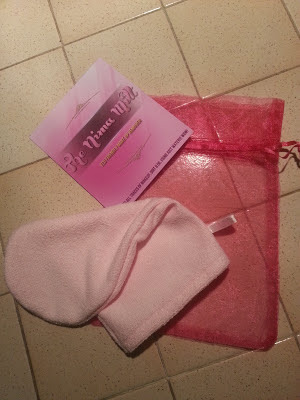 But water, just normal tap water, is very close to your skin's natural ph - so while the Nima Mitt will remove every last trace of makeup, it's not going to upset your skin; this makes the Nima Mitt suitable for any skin type even those who suffer with breakouts or sensitivity. Want even more proof? In the pictures below, the left image is the Nima Mitt after removing a normal day's makeup (foundation, concealer, blush, eyeliner and mascara) and the right image is the other side of the mitt having given my face one final sweep to pick up anything I missed - which as you can see, was not much. When all that business is over with - give your mitt a wash with a bar of soap (not liquid soap, it just doesn't seem to work quite as well, any bar soap will do) and leave it to dry wherever suits. Don't leave it sitting damp, whatever you do and for the love of all things holy, do not put it in the washing machine! Treated well these little babies will last you ages and ages. Seriously I managed to clean it while in my questionable (ahem) state last night, it's almost too easy. What I will say is that I can't leave my skin too long after removing my make-up without doing something else. Water + my skin = drying out very quickly, but that's my skin and that fancy trans-epidermal water loss she'bang I have going on - so if you're anything like me, don't get caught up washing your mitt or simply taking off your make-up and leaving it at that! Remember this isn't a cleanser, just the first stages. Also, while this will take of eye makeup - just take care. 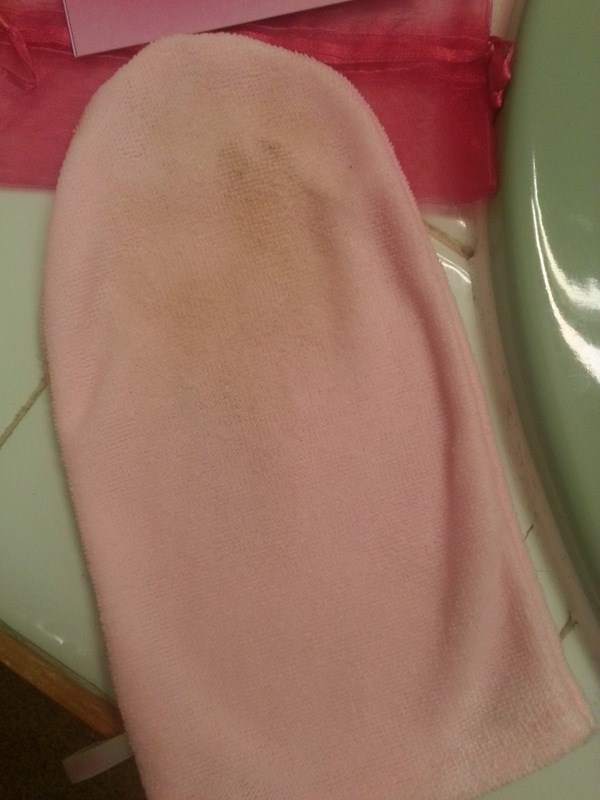 The skin around your eyes is very delicate - while a few sweeps of the Nima Mitt will lift of the majority of eye makeup, I don't set out to get it all off. I will use a little bit of gentle eye makeup remover to get the last bits off; mostly because I don't want to be rubbing and pulling at the eye area too much. That said, I have taken off Benefit They're Real mascara with this here mitt and I'm sure many of you can relate as to how that can be to get off sometimes! Look at me rambling on - I haven't even got to the best part yet. Price. I won't hold you in suspense any longer - it's €12.95. You can order it from Nima Brush Online and still come out with change for a twenty! Yeah, I know - where has this been all our lives?! I'll just finish off by saying, in the last few weeks I genuinely feel my skin has improved lately. This is with all things considered - December weather, stress, Christmas season eating habits, copious amounts of wine - and yet, I can see improvements in my skin. Now I've been doing a number of things to achieve this, which I will talk about at a later stage but I feel it's safe to say that using the Nima Mitt has been a contributing factor. I know my makeup is coming off without any irritation and leaving my skin good and clear for the rest of my routine. The action of removing the makeup is just exfoliating enough to lift off any flaky skin that's there but without scrubbing. So it's one, solid step in the right direction. Anyone who knows me is getting one of these for their birthday! Sorry if that spoils the surprise, but you'll thank me for it! I know some of you out there have Nima Mitts of your own, how are you finding them? 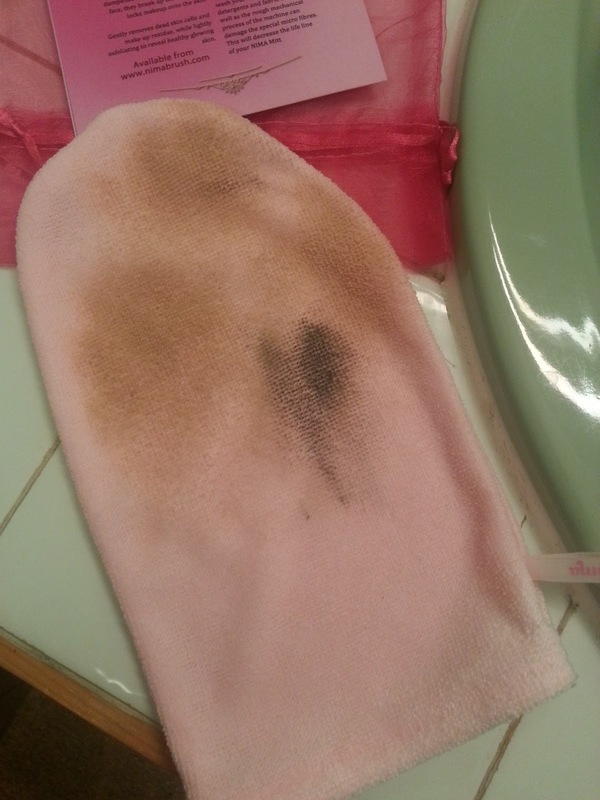 Would you be tempted to try a makeup remover mitt? Great review! Mad how you don't need any product with it! Thanks hun! Yeah its unreal how well it works! I can see it being great for travelling! I need this in my life, So handy! I didn't want to believe it, but it's pretty damn brilliant! Highly, HIGHLY recommend it!